The Volvo XC90 has been soldiering on, basically unchanged, for more than a decade. But change is a afoot in Sweden, and the Concept XC Coupe is what we can expect from the next XC90. It's a traditional Swedish sauna, just modernized and in car form. 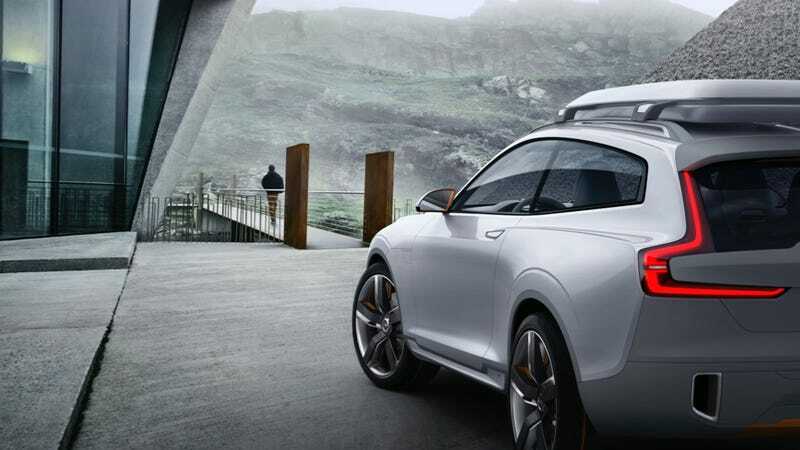 Closely related to Volvo's breathtaking Concept Coupe that we saw in 2013, the Concept Coupe XC takes the philosophy of that concept and adds the ruggedness. It also, as you'd expect from Volvo, is a leader in safety with the use of high-strength boron steel which should help keep Volvo's key calling card in tact. It's taller and chunkier, with 21 inch wheels and a roof rack. It's like the love child of a C30 and an XC90, but even more beautiful than before. And yes, before you all start asking, it has a new LED light signature because it's a new car and it has to have that. If this is what we can expect from Volvo's new design direction, then we're entering a new Swedish renaissance. Can't wait to see the new developments in flat pack furniture and meatballs that come next. We'll see the Concept XC Coupe next week in Detroit.